WE HAVE A PROGRAM THAT LOSES 2-4 lbs. PER WEEK On Average! LOSING WEIGHT CAN BE TOUGH FOR SOME! Our one-on-one-coaches will help you lose the weight and help you keep it off.We have a proven program that works. We have the only program that educates you on how to get it off and how to keep it off. We don't stop when you lose weight because weight issues don't stop when you lose the weight. We do one on one coaching. We kept track up to 24,000 lbs but the number just keeps getting bigger. 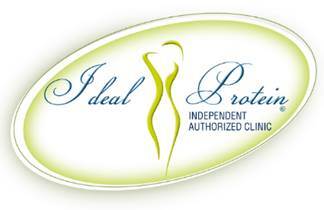 See Weight Loss Tab at the top for Details About Ideal Protein Weight Loss Program! We are located at 316 Western Ave. in beautiful Brattleboro, VT, right next to exit 2 of Interstate 91. Anderson Chiropractic Office has been offering the best in Chiropractic care for 60 years. We are dedicated to helping our patients with relieving pain as well as achieving their wellness goals. We specialize in a comfortable low force joint adjusting technique called Activator and use other therapies and pain remedies to relieve your pain and speed your healing. In practice and online, our practice strives for excellence through superior patient treatment, education and satisfaction. Dr Craig Anderson and his staff are committed to bringing you better health and a better way of life by teaching and practicing the true principles of wellness care. Patients seeking treatment at Anderson Chiropractic Office are assured of receiving only the finest quality care through the use of modern equipment and technology. Dr. Anderson and the staff have a genuine concern for your well-being! If you are new to our website, please feel free to discover and learn about our office and wellness. Within our website, Brattleboro area residents will find all types of health and wellness related information including information about our office and services, chiropractic, back and neck pain, work and auto injuries and much, much more. We have a section about our staff and how we treat patients, another on Chiropractic, one on Wellness, our health newletter, weight loss, a wonderful arthritis formula called EFAC and other products we carry to help our patients. Dr. Anderson has authored and published over 100 health related articles which you can find here. If you are interested in starting your journey towards health please subscribe to our newsletter. If you are already a newsletter subscriber, please explore the member wellness section of our website for wellness articles, resources, and health facts---specifically targeted by the doctors and therapists to your wellness needs and interests. We hope you enjoy the information within and share it with others. Again, thank you for visiting brattleborochiropractor.com and remember to come back often.